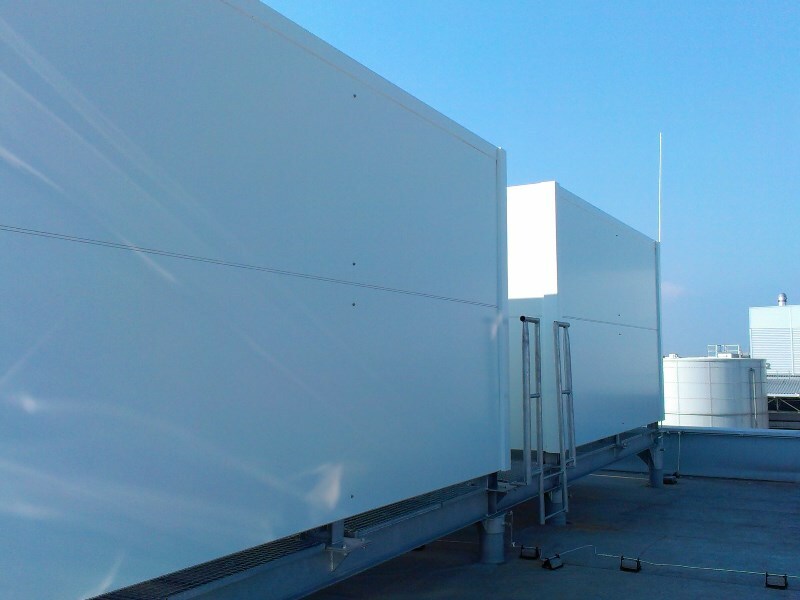 The outside soundproofing wall around the cogeneration units consists of two C-shaped sections. The panels have a special outdoor surface finish. The size of the entire envelope is 9.8 x 12.8 x 2.4 m.